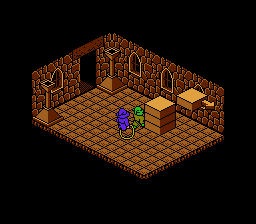 NES Solstice: The Quest for the Staff of Demnos (Europe) in 11:15.6 by Exim. As for the movie itself... This is Exim's 2nd attempt, nearly 2 minutes faster than before. The improvements come from a better route (that visits 11 less rooms) and overall better precision.